With this commitment, Neotrope® aligns itself with the C Diff Foundation to help awareness through education about research being conducted by the government, industry, and academia; and better advocacy on behalf of patients, healthcare professionals, and researchers worldwide working to address the public health threat posed by this devastating infection. As part of this in-kind grant program, Neotrope is providing public relations (PR) solutions, news dissemination (through its Send2Press® Newswire service), online advertising, and social media marketing for the C Diff Foundation. This program is intended to help raise awareness of the 501(c)(3) nonprofit to traditional media, to the public, as well as potential sponsors and donors, regarding their efforts. The C Diff Foundation is a nonprofit 501(c)(3) organization, established in 2012 and dedicated at supporting public health through education and advocating for C. difficile infection (CDI) prevention, treatments, and environmental safety worldwide. The Foundation’s founder is a nurse and after suffering through C. difficile infections herself and witnessing the loss of her father, whose life was claimed by C. difficile involvement, the C Diff Foundation came to fruition. 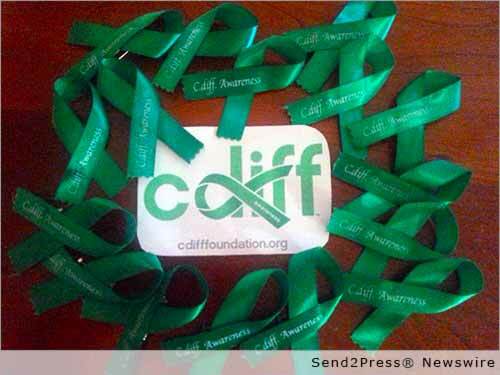 The C Diff Foundation, with their Volunteer Patient Advocates, successfully “Raise C. diff. Awareness” nationwide and in 38 countries, and host a Nationwide information Hot-Line (1-844-FOR-CDIF) which also supports health care providers and patients to manage through the difficulties of a C. diff. infection. Learn more at: http://cdifffoundation.org/. The NonProfit PR Grant™ program was originally launched in 2000 to help assist U.S. 501(c)(3) worthy causes to raise awareness, attract halo sponsors, and better connect with donors and volunteers. Other PR industry firms have since copied the name, but ours is the original. Additional information regarding the Neotrope 2016 J.L. Simmons NonProfit PR Grant program for U.S. charitable nonprofits and grant recipients can be found at: http://prgrants.com/ or on Facebook at https://www.facebook.com/NonProfitPRGrants.